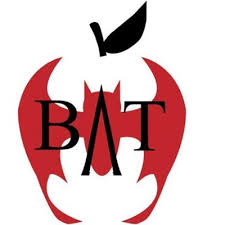 Badass Teachers Association Blog: Governor Christie, We Will Not Turn the Other Cheek! The 21st century in the United States is a time of profound social inequality, with great economic prosperity for the few and a steady erosion of the safety net for the rest of us. It is incumbent on educators to expose the systemic tearing away of the fibers of unionism itself through this and countless other attacks. These attacks have come not only from presidential candidate Christie, but from politicians and public figures that stand to directly and personally benefit from seeing an end to unions in this country. Christie's statement is a call to arms for all unions to unite against the common enemies who have union busting agendas as we face future battles, including the impending Supreme Court decision in the Friedrichs vs. California Teachers Association. Unions were once an essential tool in the establishment of the middle class in the US, fighting for equity within our society. As we face a further threat to economic equity, we need to call upon the ideals of unionism and strengthen protections for society as a whole, including additional support for our marginalized populations. Exposing the national anti-union agenda must not be our only goal in the wake of presidential candidate Chris Christie’s repugnant statements. Such a blatantly violent, misogynistic term must not be tolerated from a sitting governor, let alone a presidential candidate. 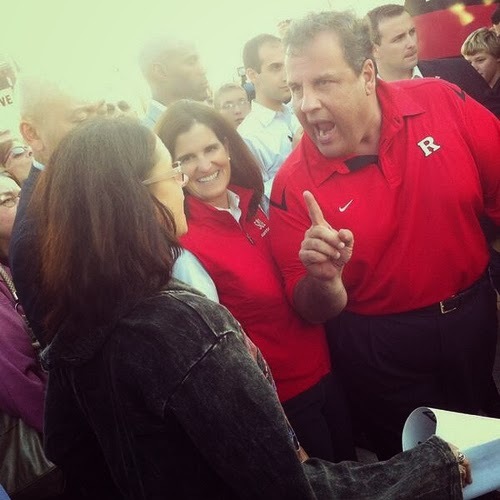 It is necessary to call into question the term “punch” Christie uses when referring to the teachers’ union. This language is a specific attack on women who comprise 70-73 percent of education professionals and are a minority sector of our population. As a governor, Chris Christie and other elected officials are charged with the representation of their constituents. Those entrusted with governance are representatives of all people - men, women, and children - and all are called upon to condemn these statements. Christie's previous words and actions denigrating teachers and students are highly insulting to all Americans. He strongly and wrongly takes action to deny entire communities a voice in providing a responsive, quality education to their children. He has arrogantly defied the courts and has starved New Jersey schools of much needed, and constitutionally mandated funds. His bullying won't stop unless even more people stand up to him. He is not fit to be any type of leader, let alone the leader of the United States of America. Christie is a bully to all that have disagreements with his agendas. Nowhere was that better illustrated then he told reporters that he would like to "Punch the American teachers union" in the face. He is a good example of what has happened to unionism in the political arena. As a national organization dedicated to decisive action to support teachers and students, we can’t let this statement by presidential candidate Chris Christie’s recent statement on CNN ,that the national teachers union deserves a “punch in the face” for being the most “destructive force” in America. We need to give him some “schooling”. Today in the United States is a time of a two tiered society. Those running for office must acknowledge that there are class divides in this country Unions were once an essential tool in the establishment of the middle class in the US, fighting for economic and social balance. As we face a further threat that balance, we need protections for society as a whole, including additional support those who have been cast aside. Exposing the national anti-union agenda must not be our only goal in the wake of presidential candidate Chris Christie’s idiotic statements. We’re not going to stand for this type of talk anymore. It’s Time for us to work together to rid our society of people who think like this! Chris- sit down and shut up! After Hurricane Sandy I admit I sort of admired Christie. Then he started attaching teachers and I realized he's just a big bully. Recently he said this of teacher unions: "They are for greater membership, greater benefits, greater pay for their members. And they are the single most destructive force in public education in America." Excuse me?! Since when did it become destructive to lobby for better pay and benefits for teachers. When did we, as a country, decide it was wrong for teachers to try to improve our lot in life? When did Americans decide it was better to pull others down rather than to build everyone up? Most people will agree that teachers aren't paid ridiculous salary like say CEOs or football players. For those of you don't realize the great pay and benefits my union has gotten for me let me enlighten you: I've been teaching for 27 years. I recently earned my Masters degree (for which I owe $30,000.) My yearly salary is $42,000. Thanks to my union, my insurance is better than most with a $500 deductable and copays ranging from $20-40 per doctor visits. They also bargained for the amount of hours I'm required to work each day. Most teachers I know stay beyond these hours plus work at home on weekends and holidays. Heck - I've been know to take a personal day and then spend it catching up on school work. Speaking of personal days - I get 3 plus 7 sick days a year. Sick days are necessary - do you really want your child's teacher sneezing or puking their germs all over your kid?! Surrounded as we are by so many childhood germs, it's rare that a teacher can get through the school years without catching most of the latest bugs going around. Another fallacy I hear constantly is that the evil teacher unions protect bad teachers. I learned the hard way (when I lost my previous job of 23 years due to budget cuts) that if the administration wants you gone, you're gone. Teacher "tenure" doesn't really exist. I can be fired pretty much anytime and there's nothing the union can really do about it other than provide guidance and maybe a lawyer if I'm being fired unfairly (for say my political views, physical appearance or lifestyle.) My union also fought to provide teachers with pensions upon their retirement. When I retire I'll get a whopping $1600 per month from my pension. More than many folks for sure but hardly what I'd call a destructive amount - especially since my school systems has been setting aside money for my retirement for close to 30 years. When are people going to wake up and realize that teacher unions aren't destroying our public schools - politicians are! Excellent post, excellent response. I live at the shore and I have many members that are not in their homes, have received little to no help from the "Mary Pat" State fund. I have a hard time understanding what is going on in the minds of politicians when what is going through mine is, "How can I make this the best year for my students?" I think someone does have their priorities askew, and I don't think it's me. There needs to be a stronger word than BULLY to describe this behavior. I would like to use the HIB law against this man.